Yesterday we reached the halfway point, a cause for minor celebration. We’re now deep into the favorable current eddy we plotted before we left. It leads to the coast south of where we’re headed so it may look for a while as if we’ve diverted to Panama but we haven’t. We’re making excellent speed and hate to give it up so we’ll turn back north at the last moment and motor up the coast where the current is less. We transferred 50 gallons of fuel into the main tank and with our new and improved speed that should be good until Saturday and we’ll hope for another couple of hours of flat seas again to make it easy. In case you’re wondering Jack hefted each big tank up to the cockpit seat where the bottom of the container is still below the level of the fuel fill but high enough to siphon the top half of the fuel out, then the tank was light enough to lift the rest of the way to bins above the fuel fill where we have a proper siphon height for the rest of it. 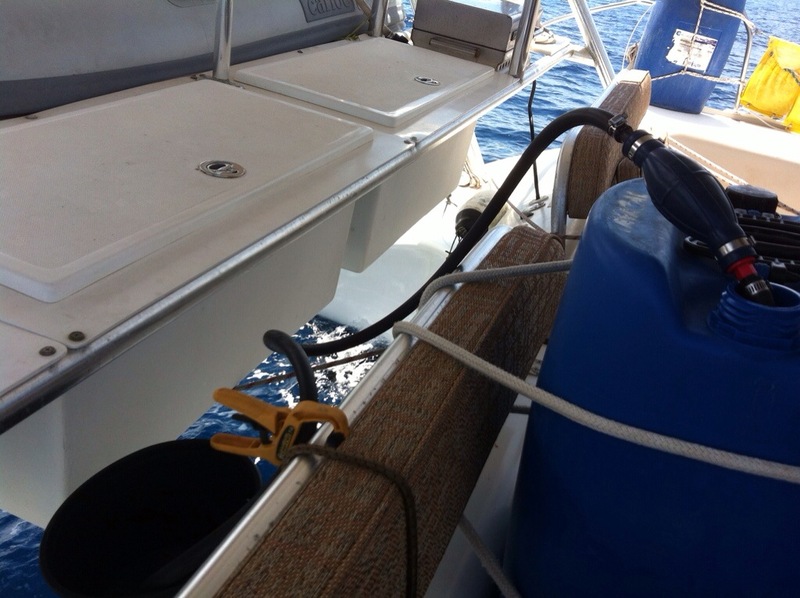 We did three this way, although for the last one Jack disappeared below to change a fuel filter and even with half the fuel out of the tank I couldn’t lift it so I just pumped the whole 17 gallons up into the main tank using the squeeze bulb on Jack’s siphon rig. 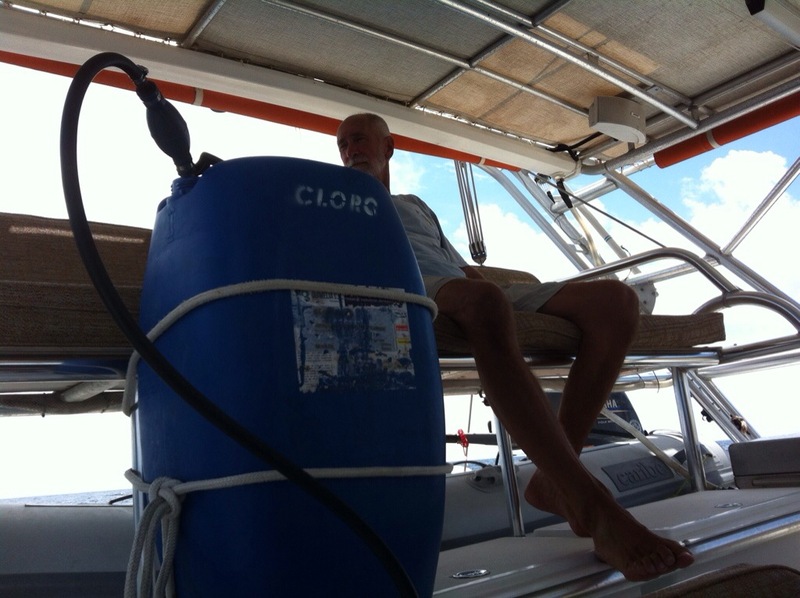 By the time we were done the seas were up and neither of us wanted to crawl out on deck to lash the empties to the lifelines so we just dropped them into the dinghy for the time being. The seas have been up and down every day. We’ll have hours of near-flat calm, then hours of swell and wind-driven chop. After a squally night Wednesday we haven’t had any more rain but I think we will as we get closer to the coast. We’ve been eating well, thanks to the freezer full of homemade MREs I cooked in preparation for the passage to the Marquesas. We have plenty of apples and passionfruit but we’re almost out of potato chips so we do hope we get in soon.